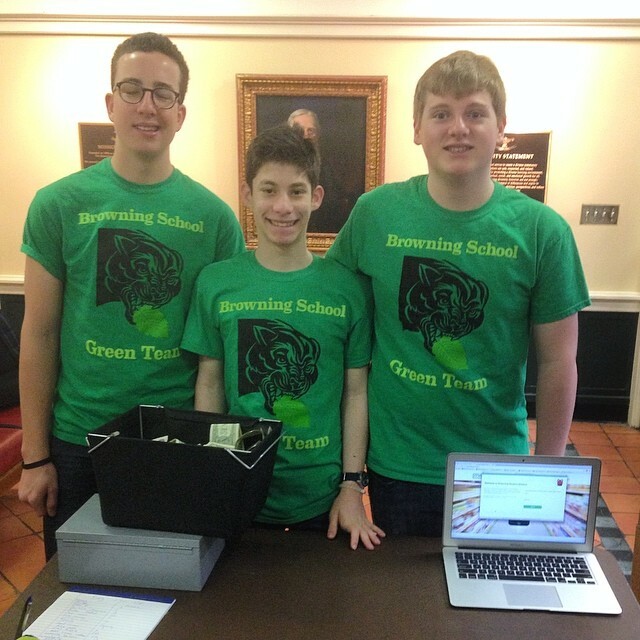 Ms. Wolf’s team of boys orchestrated this event, collecting $3 from each student who “dressed down.” All funds raised will be put toward the implementation of “green actions” around The Browning School. Participants received a Browning Green Team Reusable Bag and the chance to sign the Students Take On Plastic (S.T.O.P.) Pledge initiated by The Town School. This pledge aims to reduce the use of plastic bags and, instead, promote the use of more environmentally-friendly bags. In advance of Earth Day, teachers showed a video documentary focused on this subject. Older PostBrowning Boys Go Birding!